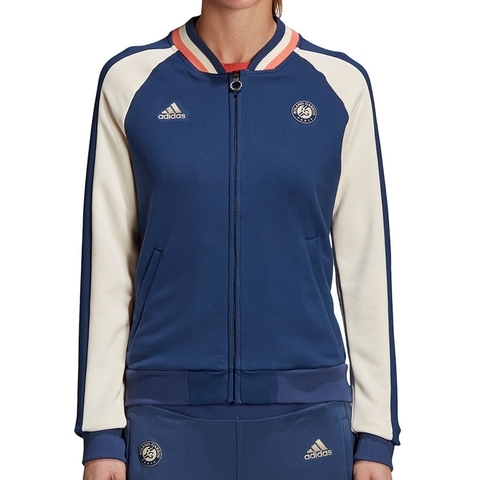 Warm up in Parisian style in this women's tennis jacket. 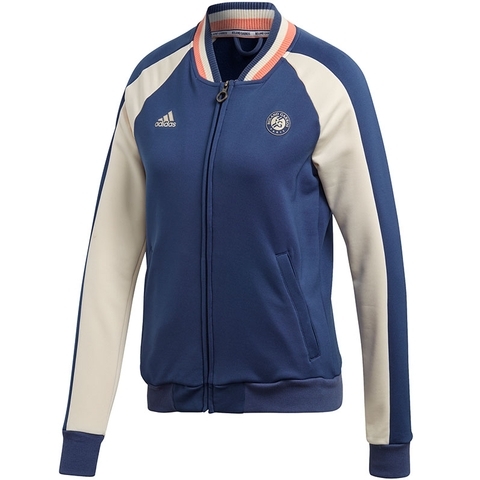 Displaying patterned sleeves and a Roland Garros logo on the chest, this full-zip jacket offers protection from harmful UV rays. 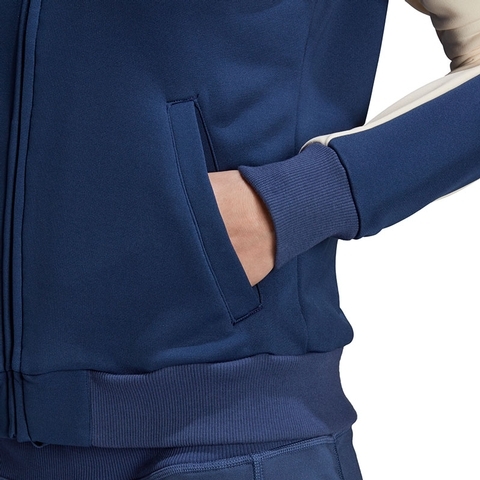 It is made from Climalite fabric that sweeps moisture from your skin to leave you dry and comfortable. 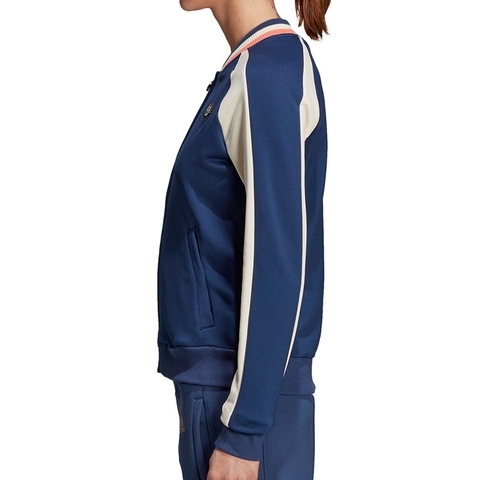 Full zip with ribbed tricolour collar. 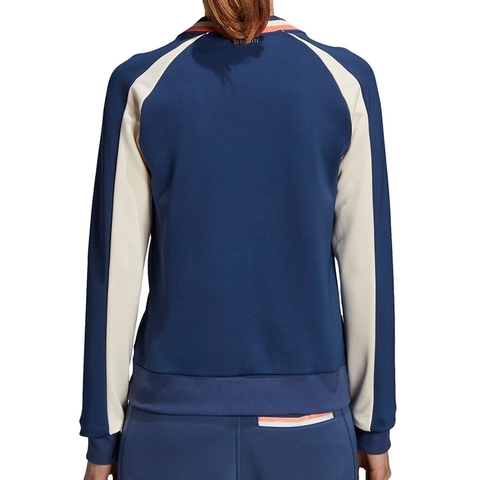 Raglan sleeves; Ribbed cuffs and hem. 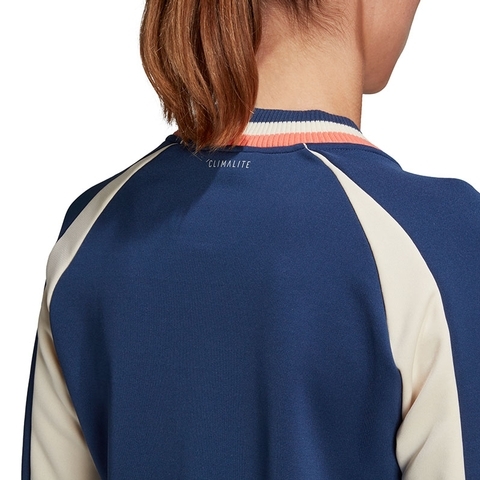 UPF 50+ UV protection. 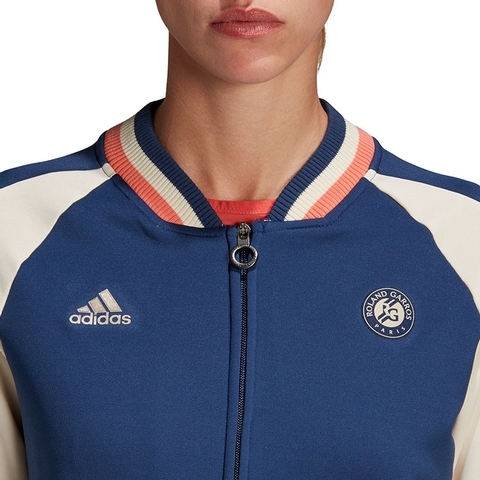 Colourblocking on sleeves; Roland Garros logo and adidas Badge of Sport on chest.